"Mantra Telecom is a trusted partner of Telecom operators, vendors and service providers globally, providing leading edge Professional Services and System integration solutions. We are preferred by our customers, respected by our partners and loved by our employees". Raman has worked in the telecom industry globally over the last 18 years. Prior to founding Mantra, he worked for Nokia, Nokia Siemens Networks in very diverse markets of India, North America and Middle East & Africa in various sales, strategy, product management and general management positions for over 12 years. Raman has successfully led various multi-country teams during his career. 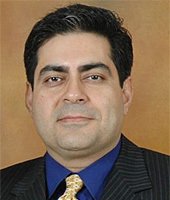 Raman is an MBA from University of Chicago – Booth School of Business. Manoj has over 15 years experience in Telecom industry. He started his career with Nortel where he worked in various roles from R&D to product management over 8 years. Prior to joining Mantra, Manoj worked at Nokia and Nokia Siemens Networks in various operations and business management positions with increasing responsibilities. Manoj is a graduate of IIT Kanpur, University of Maryland at College Park and Harvard Business School’s Program of Leadership Development. Mantra Telecom is a provider of Telecom Consulting and System Integration services in USA and Canada. Our focus is on Leading edge technologies and high skill end of the telecom professional services spectrum. Some of our key focus areas are IP – Telecom convergence, Next-gen Core Networks, VAS / VaaS platforms, Charging / Billing / OSS platforms and Operations support solutions. With operations in Canada and USA, Mantra is headquartered in Dallas area, Texas. We work with our customers closely to understand their needs better and accordingly offer solutions that meet their needs backed by an efficient delivery. Our hi-touch engagement model and a team of well trained, dedicated experts help us deliver on our promise. At Mantra, we believe our understanding of our customers’ needs and our team members are our biggest assets. Our team members are selected based on their service orientation and willingness to learn in addition to the technical and domain knowledge. We bring experts in our focus domains in anticipation of the upcoming demand and continuously invest in our people through trainings and project rotation. We today can boast of successfully completing several complex Network Deployment and System Integration projects in Canada and USA. This has been possible by having the right skills at the right place and the right time. As we add to our growing list of customers, projects, team members, service portfolio and geographical areas, we remain steadfastly focused on delivering on our promise of superior return on your investment. © Copyright-2010 Mantra Telecom, Inc. All rights reserved.